If your brain is a melting pot of analytical thinking and creative ideas, and you can handle the stress of deadlines and work without giving into pressure – then you should consider a career as an online marketing manager. Nowadays, many companies search for this type of person to take care of their company’s promotional and marketing requirements. Moreover, they are often willing to pay exorbitant amounts to ensure that all tasks are properly accomplished. So, if you have what it takes to complete these duties correctly, then you will have found yourself a job others will envy. As an online marketing manager, you will be responsible for the implementation, management, and building of online marketing goals using web advertising strategies and marketing. This professional is the person who monitors and tracks the utilisation, traffic analysis, and performs search engine optimisation on websites to place the company in a good ranking position. The marketing manager is a mind behind positive marketing techniques representing tons of businesses online. Involved in managing and developing viral advertising campaigns, an online marketer is able to promote businesses and increase revenue. 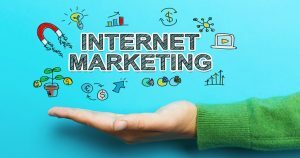 To become a successful online marketing manager, it is essential that you acquire and possess specific skills including analytical thinking and creativity. You will also need to understand how businesses operate in terms of their online visibility and accessibility. This can be done by identifying the company’s target audience, evaluating the marketing campaign and understanding what website marketing would be most beneficial. Marketing managers are expected to have strong oral and written communication skills as they are the individuals informing staff members of what the business represents. With the assistance of a good online manager, the company’s online visibility will grow resulting in a growth of clientele. This increase can be attributed to the advertising campaigns and strategies used; therefore, marketing management is a position requiring dedication and constant hard work. The benefits of online marketing can surpass the drawbacks, but you must understand that hard work is required to obtain benefits. Online marketing is a good way for companies to increase their sales without spending large amounts of initial capital. In this day and age, the most efficient type of advertising is online marketing and this can be obtained using a marketing manager. Thousands of companies search for these experts to help drive more traffic to their websites and generate more consumers for their company. If you have the correct skills, then you could become an effective internet marketing manager.